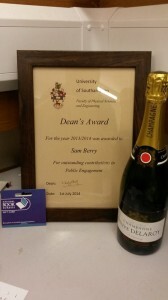 Dr Sam Berry wins Deans award. 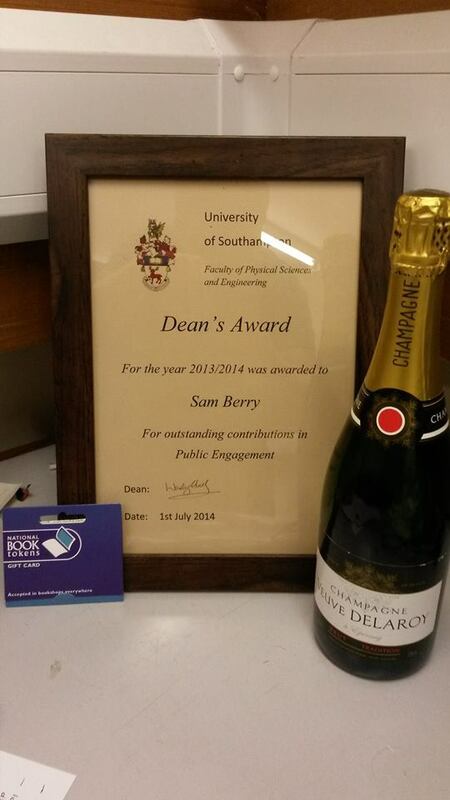 Dr Sam Berry has won the Deans award for outstanding contributions in public engagement. This is for his years of work with the Light Express roadshow, both as a PhD student and as a postdoc. During this time he has presented to over 17,000 prospective students and general public. Nominated for the award by Pearl John and with Paul Gow collecting it on his behalf, this is a great recognition of some fantastic work.